Answer: Hi dear there is no such issue in doing dis. Just ur baby movement can be fast. Dats it. Answer: Hi! No dear its not harmful fr baby ears, babies receive the sound like wave but do not listen to it the way we do..Hence if you speak to your baby who is still in womb, would move a lot becz they get the sound as wave.. Hope this helps! 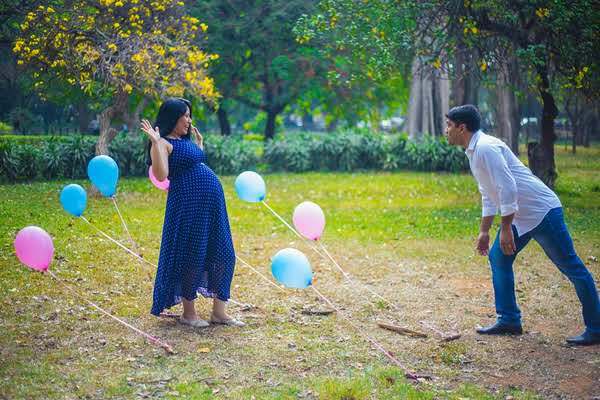 Answer: Hi dear, During pregnancy,amniotic fluid is the protective barrier or cushion for your baby. Though we never think about it at initial stages of pregnancy,but later stages it becomes an important criteria to detect baby's health. Women with inadequate AFI and women with more AFI are both not normal for sure. More than normal ranges fluid could lead to preterm labor by increasing more pressure build up. It could also be due to few reasons: 1- mother's sugar level out of control 2-baby not swallowing enough fluid 3- baby producing excessive urine 4- swelling up in baby's body with excess fluid 5- genetic reasons Certain complications attached to this is preterm labor and Babies are also more likely to move into positions which aren’t ideal for birth. There are certain treatments for this .you can talk to your doctor if it is really required. Answer: Aminotic fluid zada vi achaa nahi or kam vi ... doc keya bolraha hai?? ?